MetroPCS became the first mobile operator to launch commercial 4G LTE services in the United States, offering talk, text and 4G Web access starting as low as $55 per month including taxes and regulatory fees. 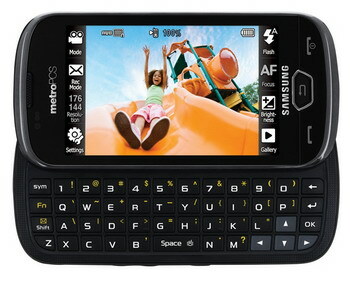 MetroPCS is also offering the world’s first commercially available 4G LTE enabled handset, the Samsung Craft. Service will initially be available in Las Vegas, Nev., with service expanding into the remaining MetroPCS cities throughout the year. + MetroSTUDIO, powered by RealNetworks, is available on the $60 service plan. MetroSTUDIO is a new source of multimedia content, including access to full-track downloads, ringtones and ring-back tones, as well as premium video content from NBC Universal, Black Entertainment Television (BET) and Univision, available on-demand and on-the-go from one easy-to-use application. + A new social networking and instant messaging aggregation application, which harnesses notifications, friends and content from the Facebook, MySpace and Twitter social networks and AIM, MSN and Yahoo! IM clients into a single interface that consumers can access with one click. + Upgraded MetroNavigator feature with the addition of voice-activated GPS and turn-by-turn directions. MetroPCS is initially offering the Samsung Craft in Las Vegas metropolitan area stores and online for $299, after $50 instant rebate, plus tax, while supplies last. As the world’s first commercially available multi-mode 4G LTE/CDMA handset, the Samsung Craft was created with Web and multimedia content in mind, delivering a stunning visual experience. MetroPCS’ Las Vegas 4G LTE network, which was built through a partnership with Samsung Telecommunications America (Samsung Mobile), will cover the majority of MetroPCS’ existing CDMA network footprint in Las Vegas. 4G LTE network rollouts in the remaining MetroPCS markets are planned for later this year and early 2011. MetroPCS plans to further expand 4G LTE coverage in 2011, along with the launch of additional devices to increase MetroPCS’ portfolio of feature phones, touch screens, smartphones and 4G handsets. 0 comments on "Samsung Craft, the world’s first 4G LTE phone from MetroPCS"